As part of the celebration of Voyager’s 40 years of continuing exploration, NASA invited the public to submit short, uplifting messages to the Voyager 1 spacecraft and all that lies beyond it. These messages were a maximum of 60 characters and were tagged #MessageToVoyager. NASA tracked more than 30,000 submissions. 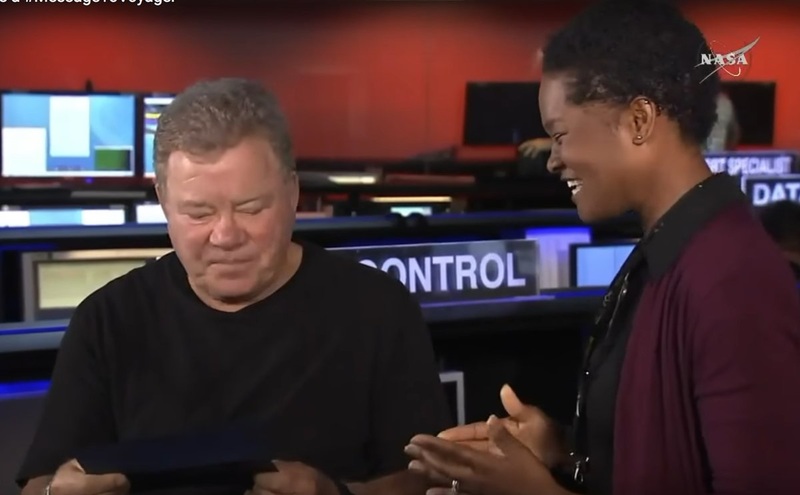 The Voyager team together with JPL and NASA headquarters selected their 10 favorites, which were then put to a public vote. Also, Tracy Drain, Juno mission deputy chief engineer; Jeff Berner, DSN chief engineer; and Annabel Kennedy, DSN command engineer were helping. 40 years ago, an unmanned spacecraft named Voyager 1, was launched by NASA on September 5, 1977. This spacecraft still communicates with our Deep Space Network from a distance over 12 billion miles from the Sun. Thank God, it has travelled successfully further than any human-made spacecraft in our universe. Officially, it flew beyond our Solar System and into Interstellar Space. In 40,000 years, it will enter another star/solar system. What a giant leap for a USA-made satellite and for all humans! Voyager 1 made many discoveries and blazed the trail! 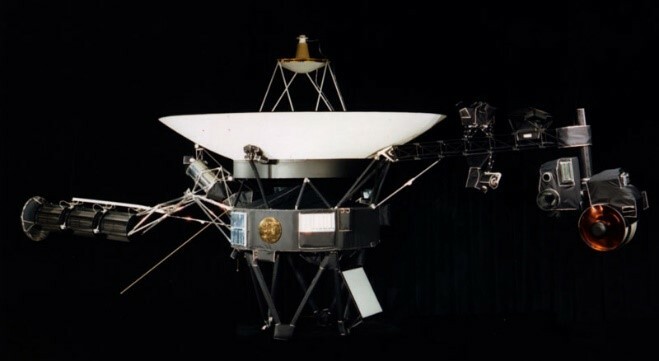 In August, NASA requested the public to send them an inspirational message (no longer than 60 characters) to transmit to Voyager 1 in celebration of its 40th anniversary of launch. NASA selected these 10 messages and the public voted. 1 From the stars we came, and to the stars we return. 2 All of us are behind you, and ahead of you is everything. 3 We offer friendship across the stars. You are not alone. 5 Solar winds at your back, the stars shall light your way. 7 We began as wanderers, and we are wanderers still. 8 When we work together, we can do great things. 9 Keep exploring, we'll catch up to you one day. 10 Now, Voyager, sail thou forth, to seek and find. When a message with the most votes is selected and transmitted, it will be the first public message sent to the only satellite that is beyond our Solar System of Sun and Earth, planets, moons, and asteroids. 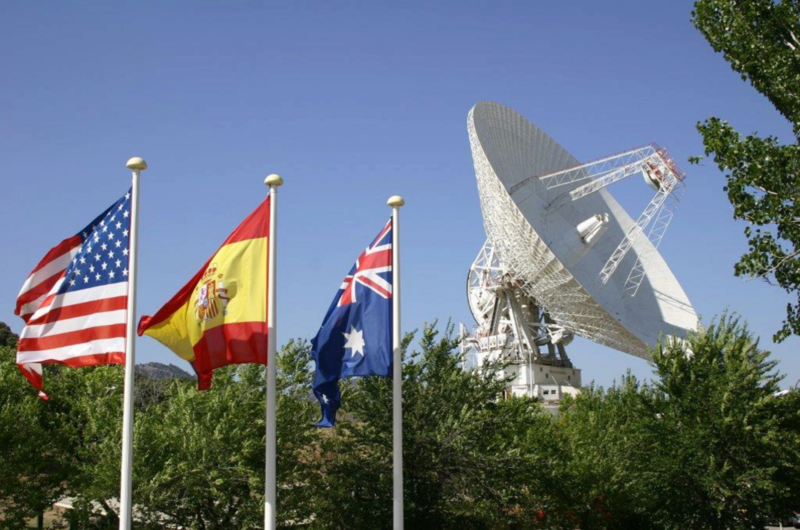 The 70-meter dish at NASA’s Deep Space Network complex in Madrid, Spain, rises above the flags of the locations of the three DSN complexes around the world. The DSN also operates facilities in California and Canberra, Australia. Photo Credit: NASA public domain. Ken Kozy submitted the following message to be sent to Voyager 1 at NASA's invitation on Twitter. Unfortunately, they did not place it in the top 10 for public voting. So, I am sending it from my heart instead of from their transmitter. "BLESSINGS AND PEACE FROM EARTH TO YOU AND STARS. LOVE, ALL"
These web pages and articles are for personal education, non-profit, and “fair use” only, and is not to be used for profit; this information is made available free of charge. This website contains no ads. All copyrights are the property of the respective owners of: text, graphics, art works, maps, references, Bibles, articles, tours, and commentary, as well as of electronic information, images, photos, music, videos, dramatizations, audio readings, performances, and movies and all material at LINK sites included herein. All Copyrights are reserved by copyright owners.